Seeking power and prestige, grim and ambitious Yorkshireman Edward Morland arranges a marriage between his meek son Robert and spirited Eleanor, young ward of the influential Beaufort family. Eleanor is appalled at being forced to marry a mere "sheep farmer"; she is, after all, secretly in love with Richard, Duke of York. Arguably, the Morland's greatest asset is Robert Morland's beautiful and spirited wife, Eleanor Courtney. Though Eleanor had initially resented being forced to marry into trade, she proved to be an astute businesswoman in her own right. Robert's steadiness and industry and Eleanor's ambition and connections gave the Morland family an edge which they used to go forward. The Founding takes us from the very start of the Morland's rise to their early ties to the House of York and to their place in King Richard III's court. One of the longest and most successful family sagas, Morland Dynasty saga draws you in and you soon find yourself caring what happens to Robert, Eleanor, Job, and the other members of their extended family. 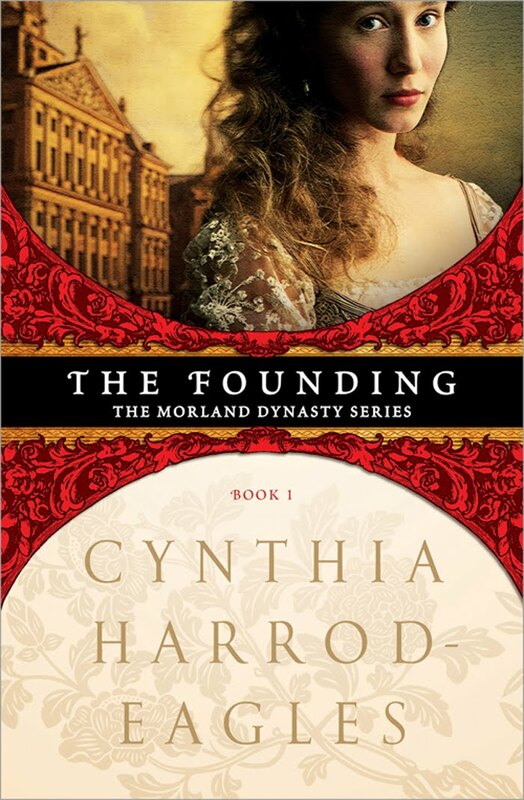 Cynthia Harrod-Eagles weaves historical figures and events into the dramas, failures, and successes of the Morlands. Reading the first in the series, gave me much the same feeling that I had when I first discovered R.F. Delderfield's trilogy of the Swann family, but while Delderfield's series captured the Industrial Age in the UK, Cynthia Harrod-Eagles's is 34 volumes and spans five hundred years. The Founding is a fascinating read and I'm eager to dive into the next book in the series. Cynthia Harrod-Eagles was born in Shepherd's Bush in London. The birth of the Morland Series enabled her to become a full-time writer in 1979. The series was originally intended to comprise twelve volumes, but it was proved so popular that it has now been extended to thirty-four. Harrod-Eagles still lives in London and has a husband and three children, and apart from writing, her passions are music (she plays in several amateur orchestras), horses, wine, architecture, and the English countryside. Another positive review of The Founding! This book just came in for me at the library, and I'm really looking forward to reading it and the series as a whole. Thanks!